Wall Street cheered last week when Netflix announced rate increases across all of its tiers. Meanwhile, analysts weighed in on how higher rates could impact subscriber retention. Coincidentally, The Diffusion Group released research detailing potential downgrades, cancellations and retention levels at $1, $3 and $5 rate increases (the breakout is at bottom and TDG head Michael Greeson concluded the new rates won’t lead to a mass exodus of Netflix subscribers). Netflix viewers are spending more time with the service and certain shows/movies are hits (at least if you believe Netflix’s own data). In late 2017 Netflix said global viewers were watching 140 millions hours per day. Last week it said it’s now serving 100 million hours per day in the U.S. alone solely to TV screens. Comparing these data points isn’t perfect, but there’s little doubt usage intensity is increasing (though Netflix viewing time is still quite modest vs. total TV viewing time). Consider that Netflix said “Bird Box” got 80 million views in its first 4 weeks. Especially for cord-cutters, Netflix has become the go-to service when sitting down to watch TV. More time spent watching = strong subscriber retention. No doubt a big part of the above is due to Netflix’s massive and constantly updated content selection. It is now impossible for even a regular Netflix viewer to keep abreast of new shows/movies being released. Analysts estimate Netflix could spend $15 billion in cash on content this year. In 2019, it could release a total of 90 feature films, documentaries and animated films, triple or more other studios’ output. Netflix’s service has been transformed in the brief period since “House of Cards” debuted just 6 short years ago. Subscribers’ perception there’s always something new to watch on Netflix = strong subscriber retention. While the volume of original content is escalating, perhaps more noteworthy is how many household-name A-list actors and directors are flocking to Netflix. Pretty soon, Steven Spielberg will be Hollywood’s sole holdout. Meanwhile Streep, Affleck, Murphy, Bullock, The Rock, Rhimes, Chazelle, Cuaron, del Toro, Scorsese, Soderbergh, Murphy and Kohan are among the actors, directors and producers who are working with Netflix. Today's Best Picture Oscar nomination for "Roma" builds Netflix's credibility with talent. 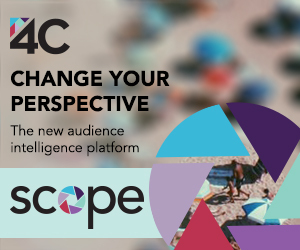 Availability of content from well-known/loved talent = strong subscriber retention. Enjoying Netflix and other streaming services is getting better all the time due to the massive adoption of connected TVs (devices plus smart TVs). In fact, given the Soviet era feeling of some pay-TV set-top boxes, accessing Netflix via CTVs gets more modern by the day. Six months ago Leichtman Research Group found that 74% of U.S. TV households had at least 1 connected TV (devices plus smart TVs), up 3x from 2010. Netflix has been arguably the biggest driver and beneficiary of CTV adoption. Netflix has also aggressively innovated its CTV user experience helping differentiate it. Better Netflix experience on CTVs = strong subscriber retention. 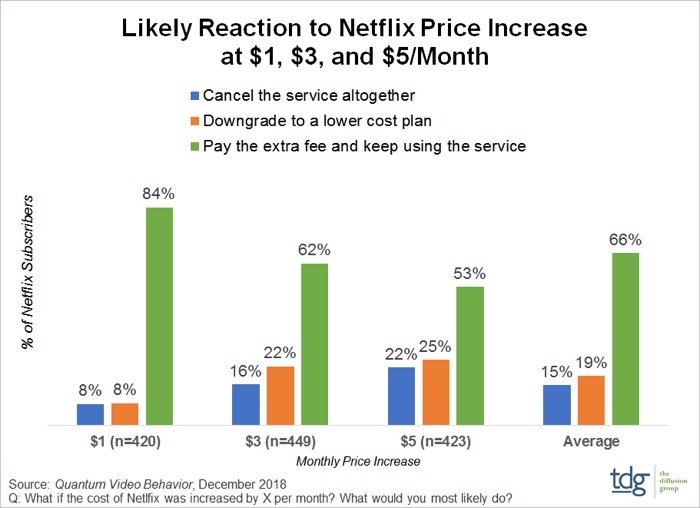 Even at its higher rates, I’d wager that many Netflix subscribers still see it as the best value around. Compared to going to out to the movies, subscribing to pay-TV or premium channels like HBO, Showtime, etc or attending a live sporting event, Netflix is quite inexpensive - all the more so for families. And as these alternatives continue raising their rates (if last year’s rates are a guide, 2019 will likely see the first $8+ beer in major league baseball, naturally right in my backyard at Fenway Park), Netflix looks even better. For many families on a budget, Netflix is an unbeatable value proposition. Great relative value = strong subscriber retention. In sum, while Netflix can’t raise rates to the moon, there are ample reasons to believe retention will barely get nicked by this latest round of hikes. Are you considering dropping Netflix at its higher rates? Are any friends or family thinking about doing so?